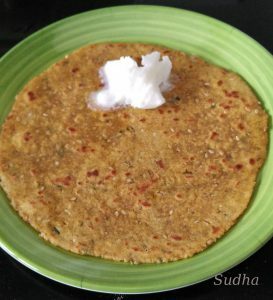 This is traditional Maharashtrian snack / Breakfast dish from Nagpur region. 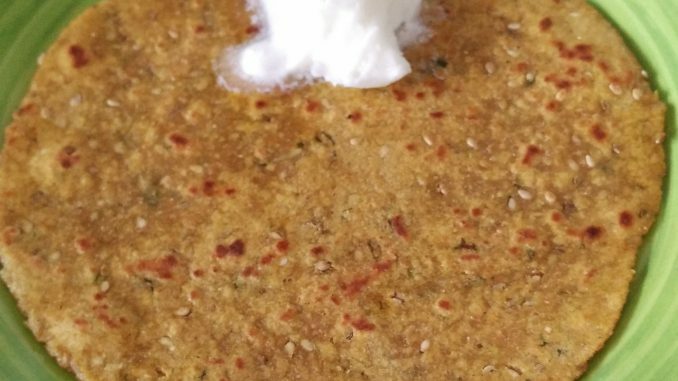 You can call it Multi grain Thalipeeth. 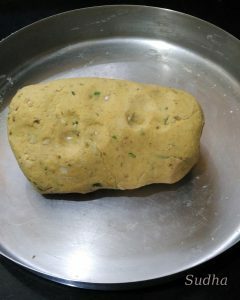 This is made by mixing different types of flour. Very easy, quick and healthy recipe. 1. Mix all ingredients and bind dough with warm water. Dough should not be too soft. We have to roll the dough. Knead the dough well. Let the dough rest for 10 minutes. 2. 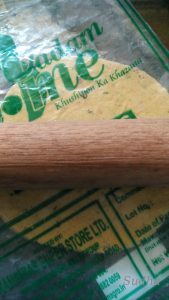 Take Tennis ball size dough, put it between 2 plastic sheets and roll it like paratha – little thinner than Paratha / Pan Cake. 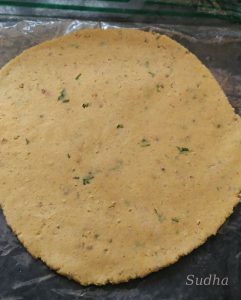 Sprinkle some jowar/wheat flour while rolling if mixture is sticky. 3. Roast it on a griddle with a few drops of oil or butter. 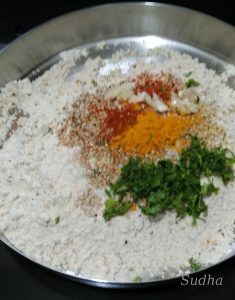 Serve hot with curd or butter or chutney. It’s very tasty and filling. 3. You can add spring onions or Carrot or any other veggie of you choice.